Show your love through fine art and get your significant other the gift of fine art. Graduation photos transformed into a painted portrait. Transform your favorite family photos into a canvas work of art. Upload your photo for fast delivery. 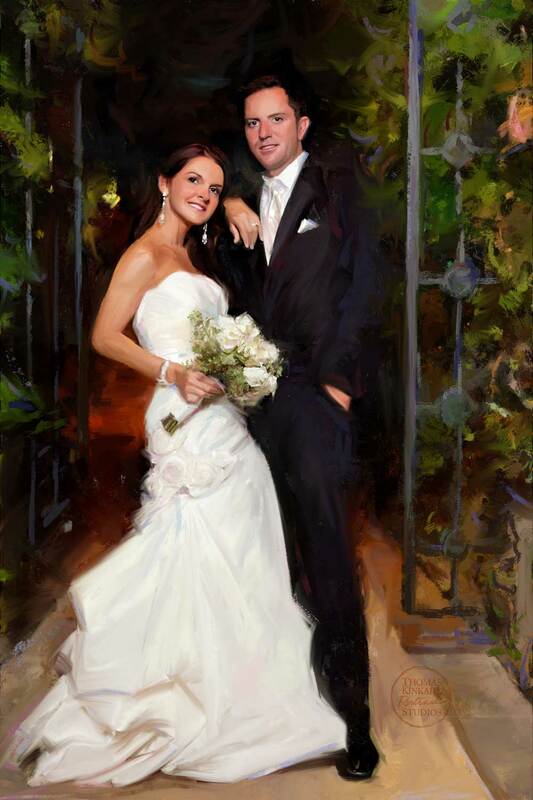 Thomas Kinkade Portrait Studios will transform your favorite photo into an original canvas masterpiece. We create art in the Thomas Kinkade tradition with great attention to detail, love of light, and an overwhelming appreciation of the way a painting can tell a story. 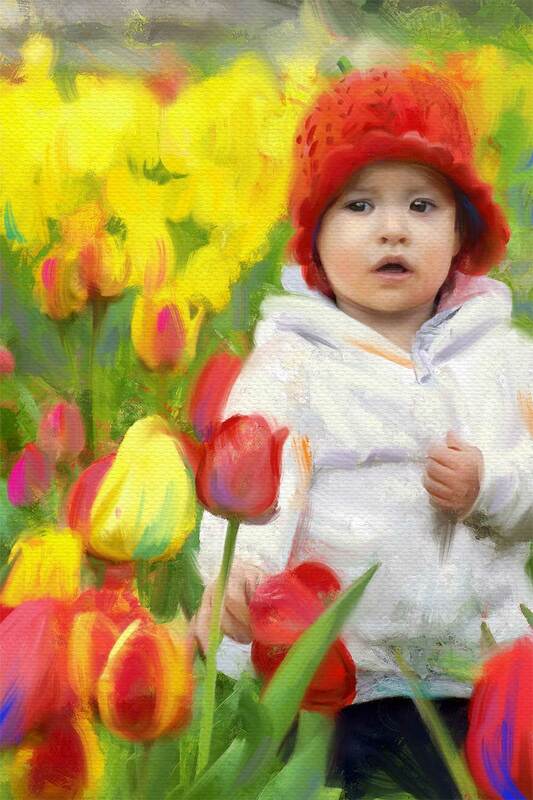 Our photo to canvas paintings will wow your friends and family. Thomas Kinkade custom portraits are personalized pieces of art that are sure to be a cherished part of your home for years to come. Thomas Kinkade Portrait Studios uses a proprietary painting method to create your original portrait, including hand-applied digital brushstrokes and color. Your favorite family picture, pet photo, or milestone photograph becomes a beautiful work of art that you will cherish. It only takes minutes to place your order. Just start on the computer, phone or tablet that your photo is stored on. No special technical or artistic skill required. It’s literally as easy as 1-2-3. Upload any photo from your laptop, personal computer, smartphone, or tablet. Choose a photo saved to your computer or mobile device OR use a photo from your Facebook or Instagram account. Crop and adjust your image in our easy-to-use portrait configurator. Add a frame or choose a frameless gallery wrapped canvas. Thomas Kinkade was the most collected living artist in history. Thomas Kinkade Portrait Studios was founded by the artist himself and paints in his tradition, with the same focus on light and color, and most importantly – the high quality standard – that Kinkade collectors enjoy. The Thomas Kinkade Portrait Studios artists will create your family original using mixed media brushstroke techniques. Your image becomes a beautiful work of art for your family to cherish. Each piece is done by Thomas Kinkade Studio Artists entrusted to carry on the Thomas Kinkade art legacy. Rest assured that your family photo is in the best hands and will be transformed into an original masterpiece. We are confident that you will love your personalized family, pet or milestone painting. However, if you don’t, for any reason, we offer a 30-day money back guarantee. If you are not 100% satisfied with your photo to canvas purchase, return it to us for a full refund. Thomas Kinkade Portrait Studios is a valued branch of the Thomas Kinkade Family. It is our promise to provide the highest quality artisan craftsmanship befitting the Thomas Kinkade name. Visit ThomasKinkade.com for more information about Thomas Kinkade and Thomas Kinkade Studios. Sign up today and we will e-mail an exclusive code for 10% off your next masterpiece.